A Response to an Unfortunate Article, fails to address the substantive spiritual issues underlying the post-disappearance rewrite of the 1972 Bhagavad-Gita As It Is, as described in Should Srila Prabhupada’s Books Be Changed? By sidestepping the pivotal issue of the lack of authority to make post-disappearance changes to the books of His Divine Grace A. C. Bhaktivedanta Swami Prabhupada, the spiritual myopia which has severely eclipsed the presentation of Srila Prabhupada’s vani for many years has only become all the more evident. Certainly the burden of proof rests with the editors to show unequivocal evidence of spiritual authority to make even the smallest post-disappearance editorial change to the published works of His Divine Grace. And it should come as no surprise that such a weighty burden cannot rationally be met by merely presenting glowing references from other paycheck editors. Nor can that burden be met by noting the confidence which Srila Prabhupada expressed about a particular editor prior to the time that the same editor began his post disappearance word surgery on Srila Prabhupada’s already published works. Moreover, while the editors would like to convince the world that a necessary and pure editorial revision of a defective 1972 Gita has taken place, it has not escaped notice that, in fact, the 1983 Gita was actually a complete rewrite of the 1972 edition based on unauthenticated transcriptions mixed with editorial notes (the so-called manuscript), but only when available (many were reportedly lost). Yet, one version had already been used by Hayagriva to accomplish the original editing of the 1972 edition of the Gita which Srila Prabhupada approved and published. In other words, the 1983 edition represents Jayadvaita Swami’s priggish rendition of the Gita in the same way that the 1972 edition represents Hayagriva’s flowing, poetic style; the critical difference being that Hayagriva was commissioned to edit pursuant to the explicit spiritual authority and under the direct, almost daily, supervision of Srila Prabhupada — whereas Jayadvaita Swami’s post-disappearance rewrite suffers from both a lack of explicit authority as well as an absence of direct supervision by the original author. Plainly said: Srila Prabhupada chose Hayagriva to edit, Jayadvaita chose himself. While it is not generally known, for two years Srila Prabhupada sat with Hayagriva and patiently transformed His intimate realizations into a level of refined expression onto which He then comfortably placed His name. The resulting literary expression was the wondrous 1972 Bhagavad-Gita As It Is. And it was this very same book that Srila Prabhupada personally approved as his authorized edition, which he read from in private and in public for over half a decade while correcting only three words. This very same book was distributed far and wide around the globe to the tune of millions of copies while the author received accolades from scholars all over the world as he reached out through his vani to make literally thousands of devotees and tens of thousands of admirers and followers! Why would anyone risk making even the smallest change to this wondrous transcendental book? Faced with these facts, the editors traditionally trot out a few dozen verses in order to skew opinion. Sure we all want the right purport printed under the right translation. And no one should have to read “planet of the trees” when we know it’s something else. But, with the most serious deception, it’s not what is said, it’s what is not said that is the defining event. And what is not being admitted by the editors is that literally hundreds if not thousands of wholly unnecessary stylistic and substantive changes were made. 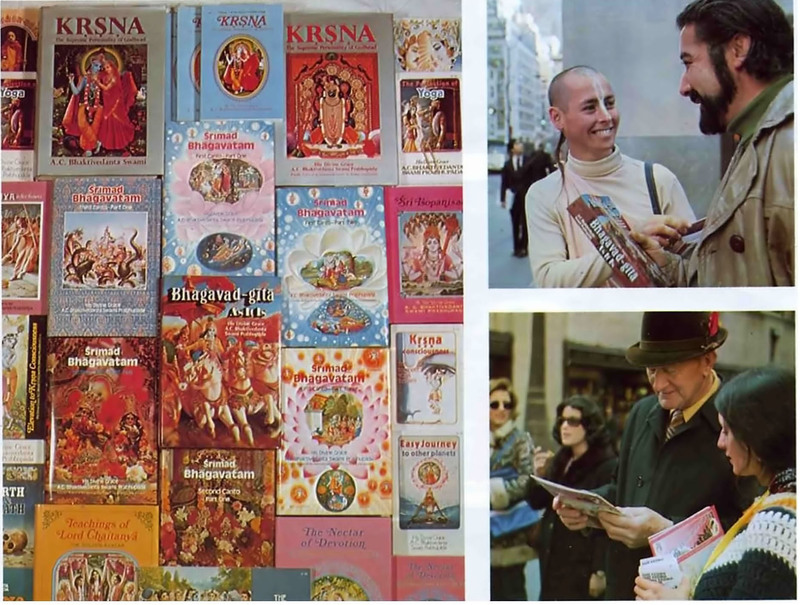 Word by word, line by line, sentence by sentence, purport by purport; the cumulative result of which is that the mood and style of Srila Prabhupada’s 1972 approved book has been morphed, so to speak, into an entirely different book which Srila Prabhupada never approved. Muddling the matter even further, the editorial camp has now web posted typed transcriptions of numerous Gita verses, yet refuses to make the actual documents available. And here’s why: on the actual documents one will find (in addition to typed, transcribed words), copious editorial notes which were hand written by various editors. And, confusing the issue even more, there is no documentation available to either authenticate who made those editorial notes, or to verify exactly when those notes were made. How anyone could base a rewrite of Srila Prabhupada’s authorized, approved and published 1972 Bhagavad-Gita As It Is on such a flimsy (and in some instances, non existent) paper trail is as absurd as it is painful. Thus, regardless of the version of the editor’s notes used to produce the 1983 rewrite, there remains to this day a ‘For Their Eyes Only‘ document which is privately held by the same editor who apparently now expects the entire Vaishnava community to blindly accept his personal interpretation of these selectively disclosed words and hidden editorial notes! Need I say, this is the same editor who for many years just as vehemently denied the legal existence of Srila Prabhupada’s heart, the BBT, until it was expensively proven otherwise. In any event, whether the transcription and notes are available or not, the 1983 rewrite of the Gita was neither authorized nor supervised by the author. Comparing the 1972 Gita to questionable transcriptions and editorial notes should never lead to a post disappearance rewrite, regardless of how brilliant or expert an editor may appear to be. In what should be the final analysis, the 1972 Bhagavad-Gita As It Is was, and is, Srila Prabhupada’s authorized final edition. Historical tradition, spiritual etiquette and common ethics demands that post-disappearance notes by commentators and adjustments by editors to an acarya’s published works be placed in an appendix or a separate tika, leaving the original, published, authorized and approved work unchanged. This process preserves the spiritual integrity of the authorized, approved and published work. The conclusion is therefore quite clear: it is the unsanctioned tampering with the authorized, approved and published adi-vani of His Divine Grace — not the fact that many have pointed it out — which is unfortunate. “Therefore we are presenting Bhagavad Gita as it is. No change. Other they are interpreting in their own way. That is not Bhagavad-Gita. That is something else. In the words of God there is no question of changing. You cannot change. As soon as you make a change, immediately it is material; it has nothing to do with spiritual world.” – Srila Prabhupada Room Conversation on August 5, 1976. “If you concoct, ‘I am more intelligent than my Guru,’ ‘I can make additions and alterations,’ then you are finished.” — Srila Prabhupada lecture on July 12, 1975 in Philadelphia Pa.